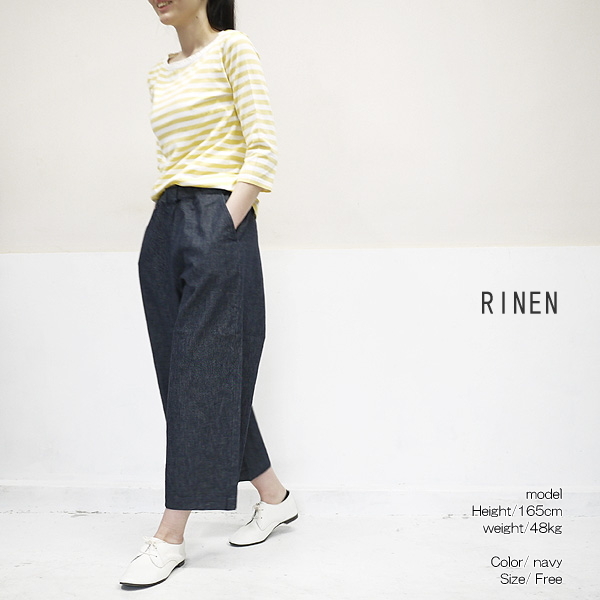 New work easy underwear arrived than RINEN linen. 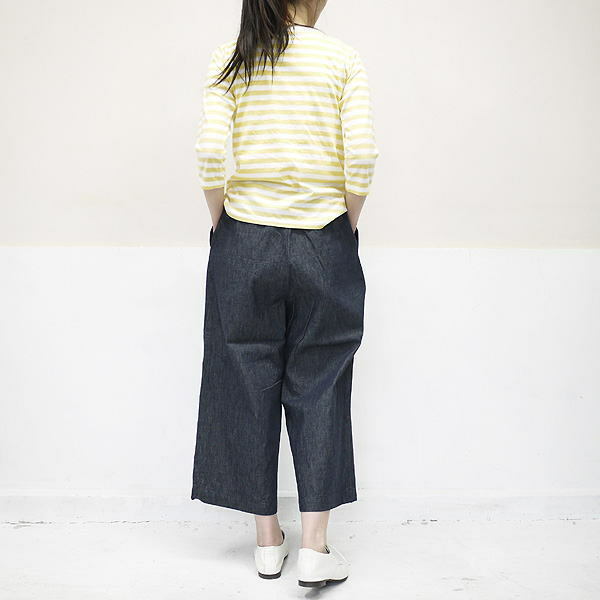 A wide silhouette of the A-line opening to a stone and a hem. The hips can afford, and the rise is easy to vomit very much deeply, too. 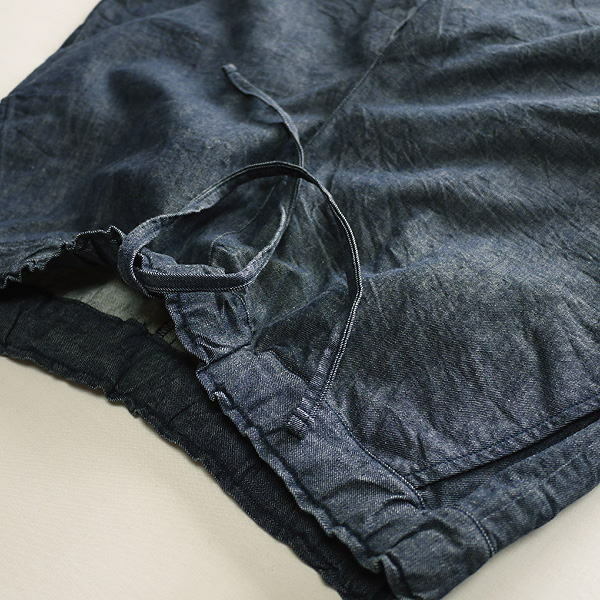 The waist allows the adjustment with a string with rubber. 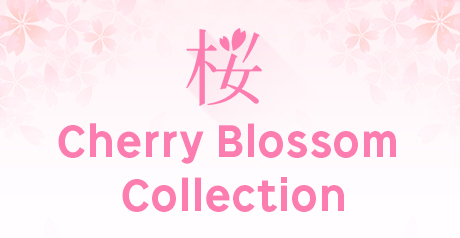 You can enjoy a one wash color. 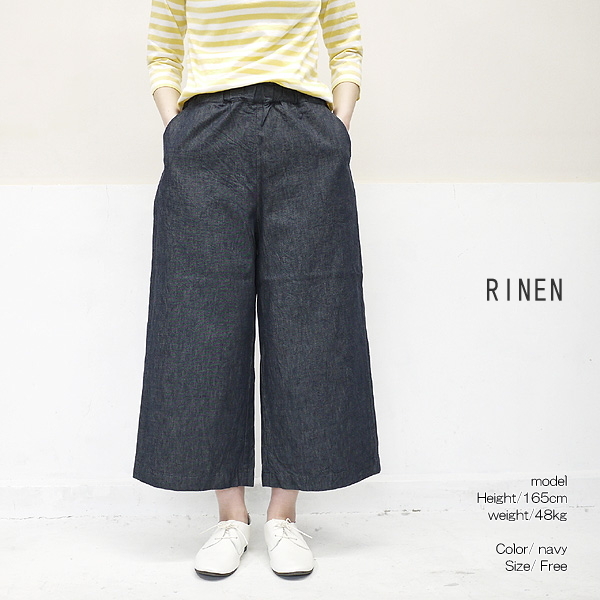 ■ New work easy underwear arrived than RINEN linen. 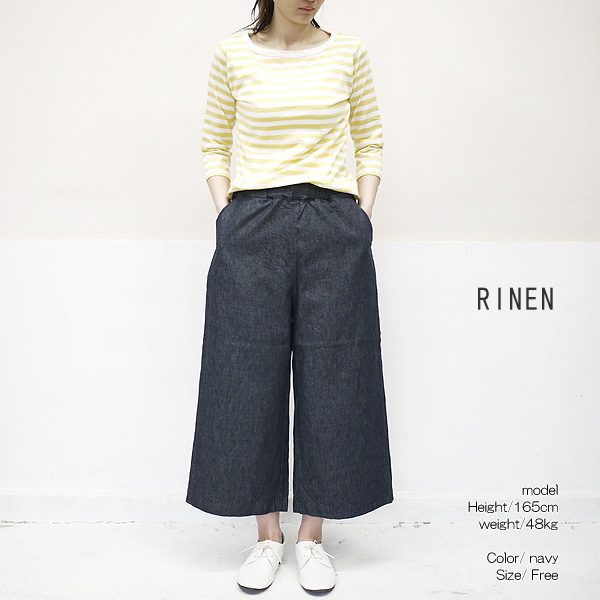 ■A wide silhouette of the A-line opening to a stone and a hem. ■The hips can afford, and the rise is easy to vomit very much deeply, too. 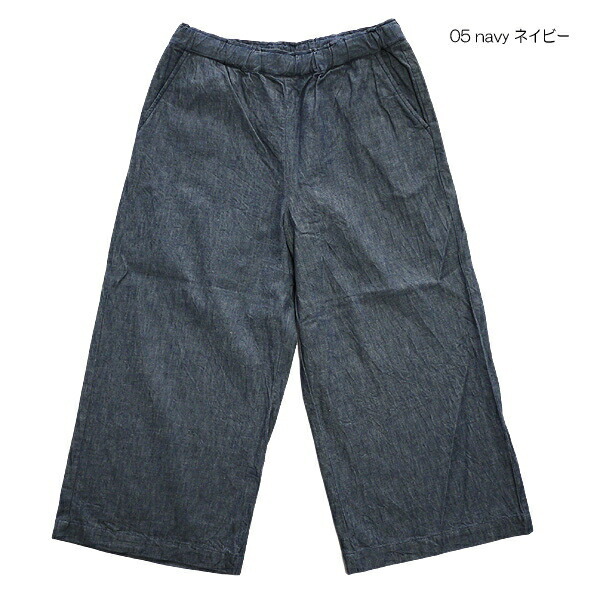 ■The waist allows the adjustment with a string with rubber. 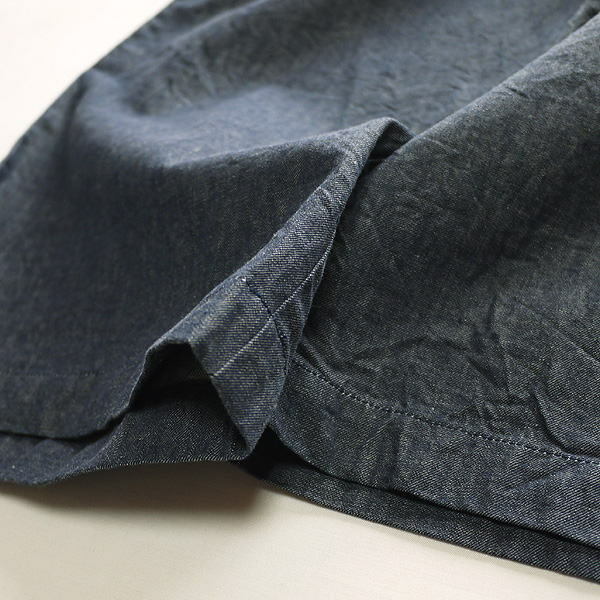 ■It is thin and there is little "knot indigo denim" that 6 ounces of smooth denim dough weaves denim, and they did navy-colored cotton yarn discoloration and can enjoy a rather deep beautiful one wash color. Another one point is "immediate delivery ▲", and one point is OK'd "immediate delivery ●"